The material is available for free in PDF format to all the owners of the original book. Requests lacking a valid proof of purchase of the book will be ignored! CLICK TO REQUEST THE EBOOK! 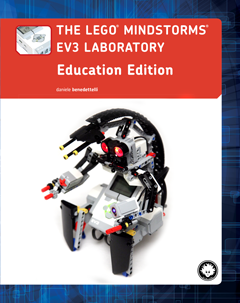 The LEGO® MINDSTORMS Education EV3 Laboratory book is a collection of integrative material to let the owners of the LEGO MINDSTORMS Education EV3 Core set 45544 (like teachers and students) to enjoy some chapter of the original book. The LEGO MINDSTORMS EV3 Laboratory focuses on the LEGO MINDSTORMS EV3 Home Edition set 31313, but its content is very useful for the owners of the EV3 Education set as well. The programming and the building techniques are the same, while the assortment of the LEGO parts and sensors is different. 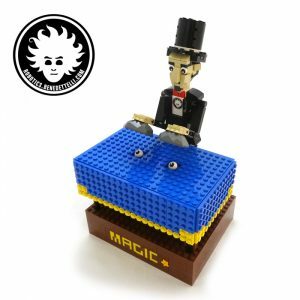 The book compares the sets and provides help to collect the missings parts to make the sets equivalent. Don’t expect the LEGO MINDSTORMS Education version of my original book to be an ebook completely equivalent to the original book. 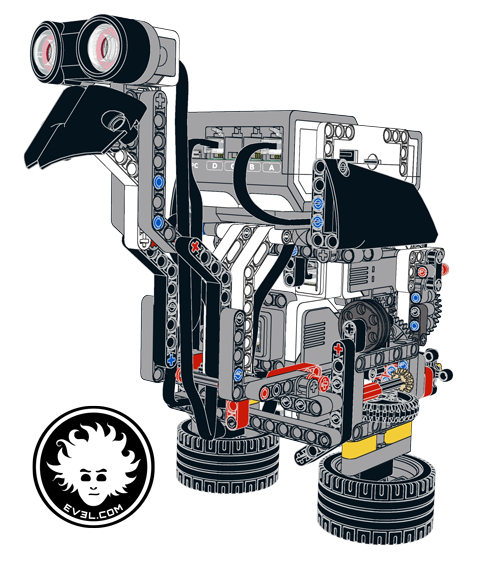 The material include building instructions and programs for some of the cool EV3 robots of the original book, that you can build with the parts included in the LEGO MINDSTORMS Education EV3 set 45544.